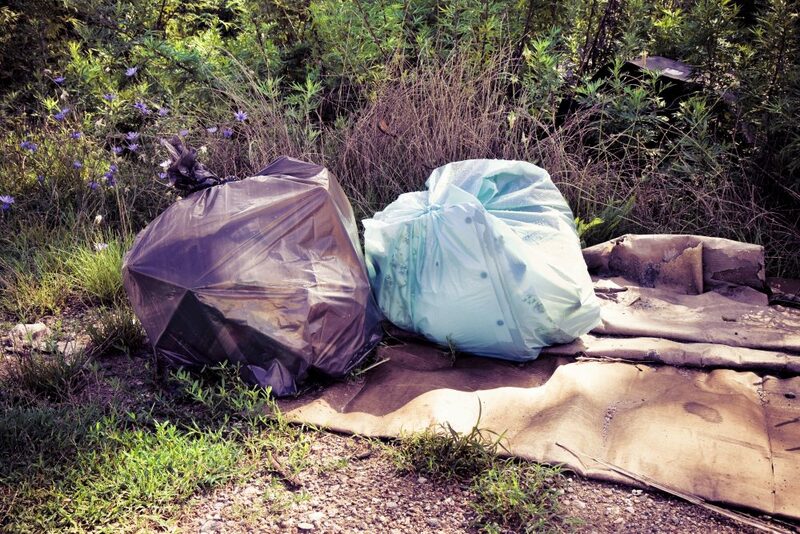 Woods are becoming a place where more and more of garden waste ends up. Gardeners are breaking the law by tipping garden waste like hedge trimmings, grass clippings, weeds and leaves in woods which is causing severe damage. The situation is quite bad in Livingston, Scotland, where we possess and operate on many sites. Vast quantities of garden waste are dumped in Eliburn Woods, Deans Wood, Knightsridge Woods, Ladywell Woods and East Wood. In Glenrothes area problems are at Formonthills, locally known as Coul, Pitcairn and Balgeddie Woods. It is not only about looking untidy; it’s undoubtedly damaging our woodlands. Getting rid of garden waste in this manner is not a green solution. It is illegal activity, called fly-tipping, and we are ready to prosecute offenders. The garden waste creates a surge of nutrients that throws everything out of balance. Non-native invasive plant species can be introduced, and native ground plants get smothered. Part of our woodland might be urban, but they are still wild. They are definitely not gardens, and the waste does not belong there. At the moment, site managers are performing a safety inspection on our trees. The inspections consist of examining the roots and looking for fungus at the base of the trunk, but sometimes they are not able to see the trees because of piles of garden waste. Dispose of the garden rubbish properly. Use your council’s bin collection service, make your own compost heap or take it to a local recycling centre. This is not only an issue in our woods. Urban woods in possession of private landowners, councils or other groups will all experience this problem sooner or later. We are delighted to have plenty of our woods in our towns or their vicinity. It is a great thing to have wood on the doorstep. They positively influence well-being and quality of life of local residents. Eventually, the local communities will suffer if the woods which are a great place for people to relax, keep being treated this way. Urban woods demand very little but offer us so much and gardeners why fly-tip should consider their actions.